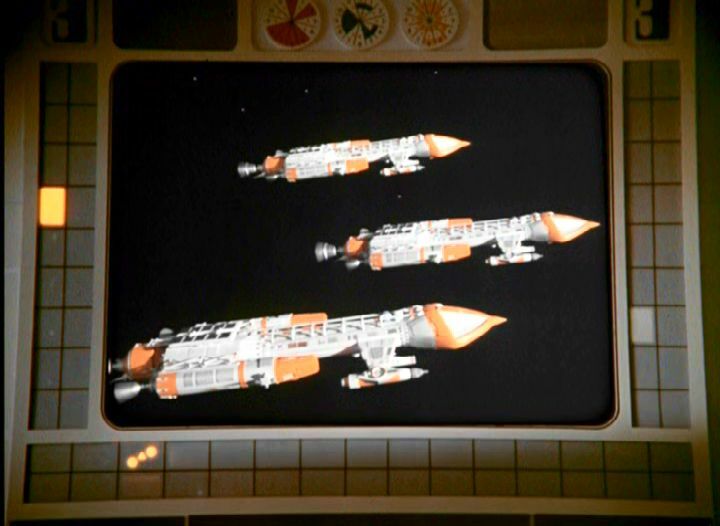 Standard definition TV has an approximate pixel resolution of 720×480 (note that TV has rectangular pixels, so to view on computer the ratio must be altered again). 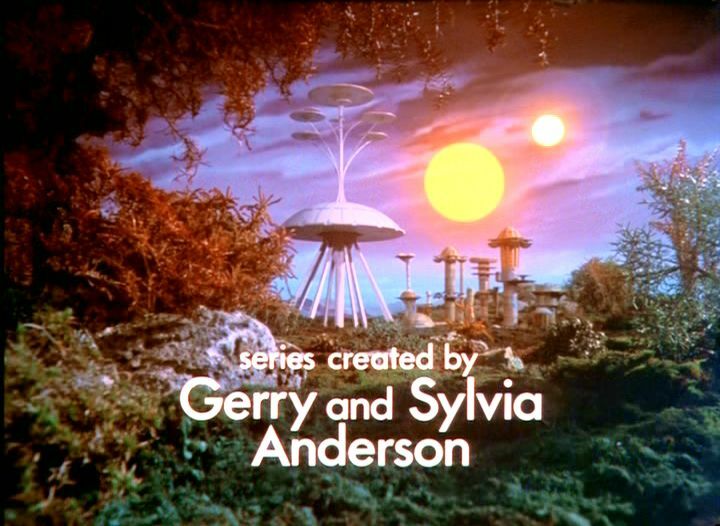 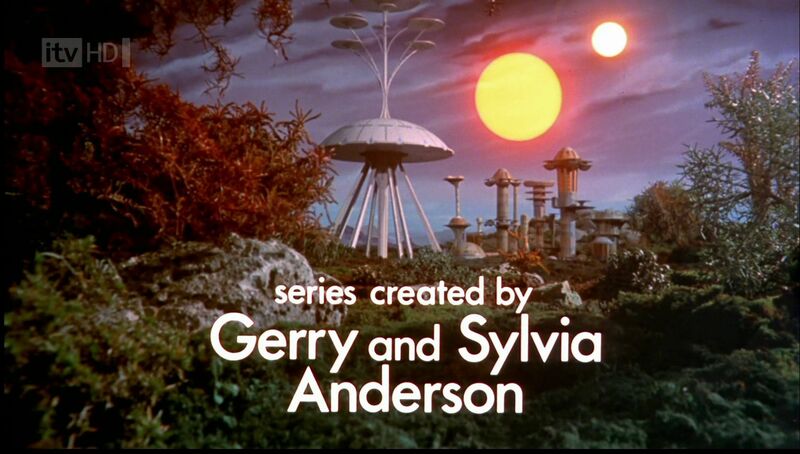 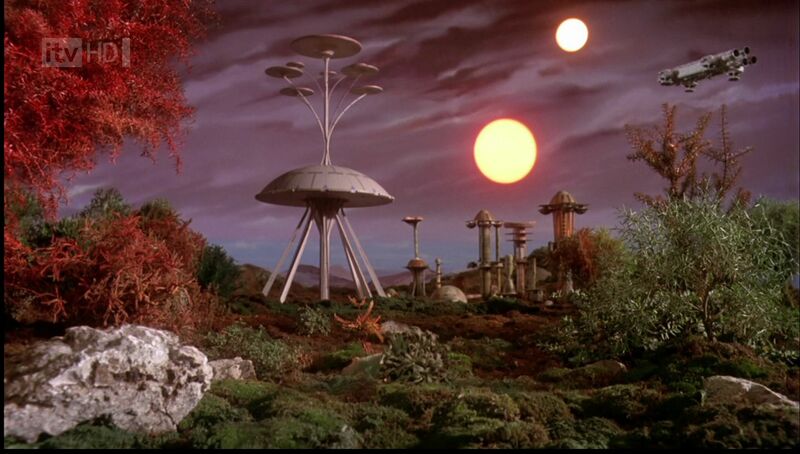 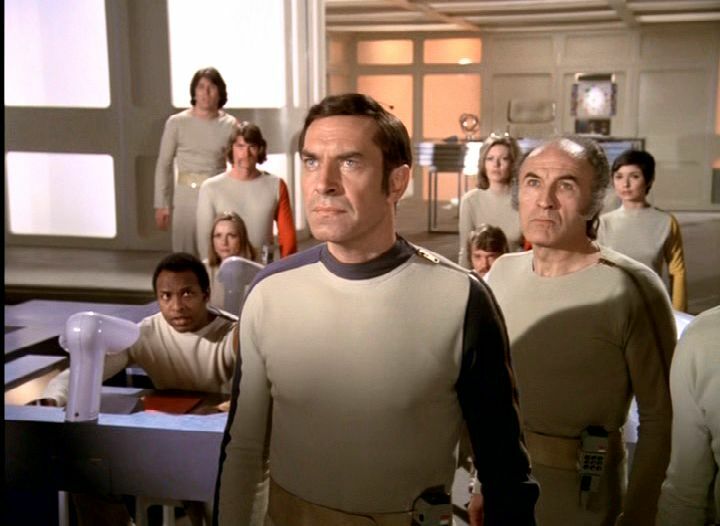 High definition TV images have a pixel resolution of 1280×720 or 1920×1080 (Space 1999 was mastered in the latter). 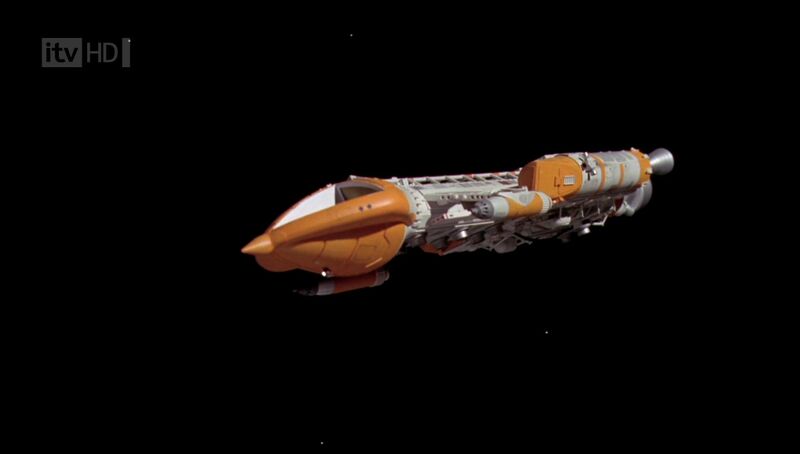 It has thus approximately twice the image information, although as lossy compression is applied there may be compression flaws visible. 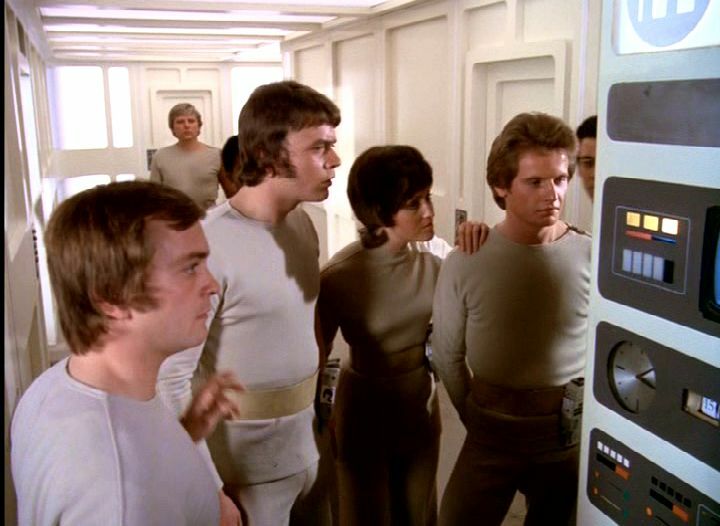 The 16:9 high definition masters were first broadcast in trials by the channel ITV-HD in 2006. 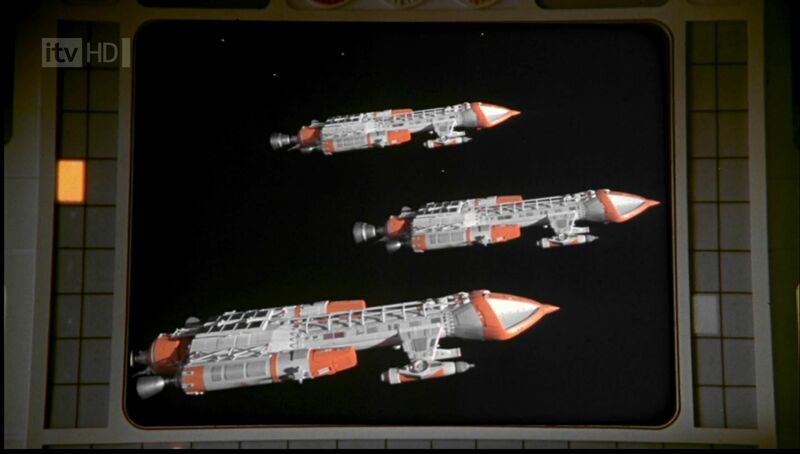 These screen shots compare screen grabs from the Network DVD (standard definition) and from the ITV-HD trial broadcasts (actually a 1440x1088 XviD MPEG-4 encoded capture of a HD broadcast). 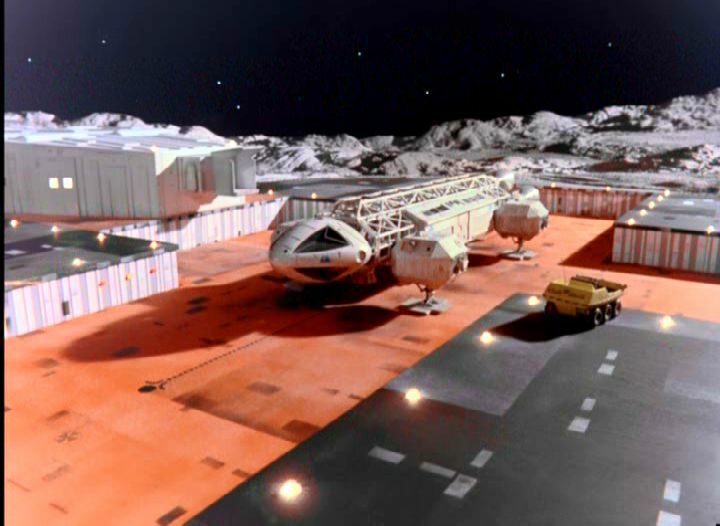 Note that there are various conversions that have been applied: these are compressed jpeg images whose aspect ratio has been fixed, so comparing fine image details and even colour is unreliable. 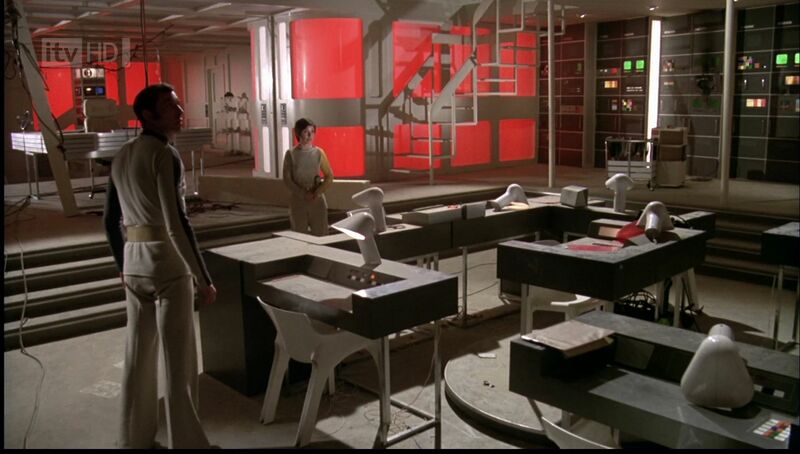 The effect of the cropping from top and bottom of the screen is obvious. 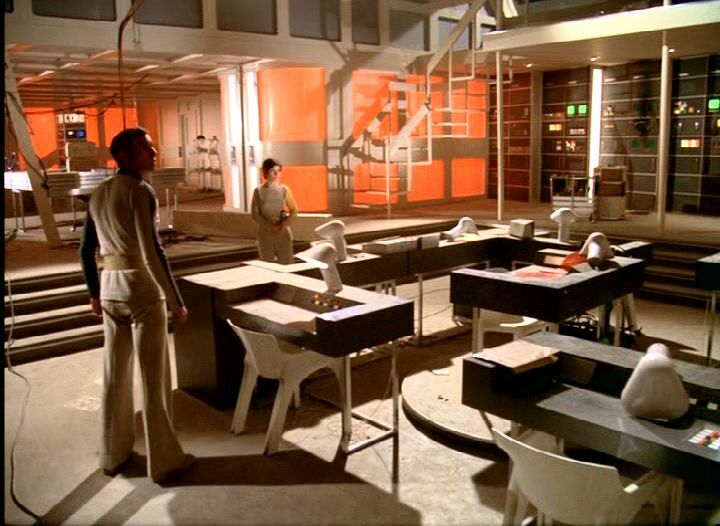 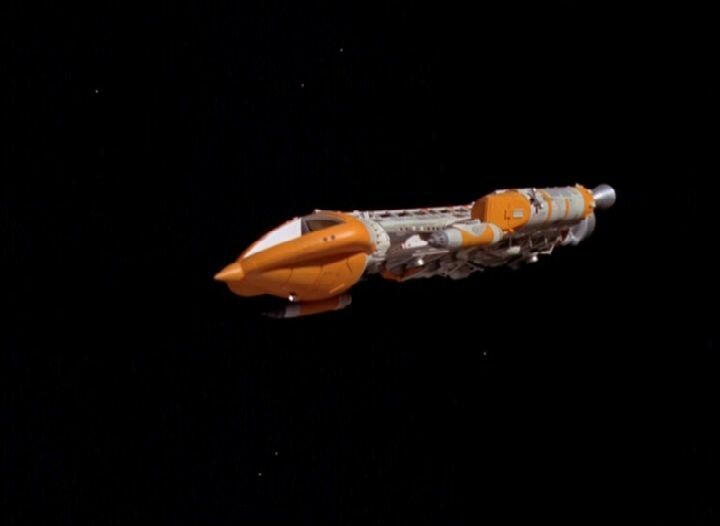 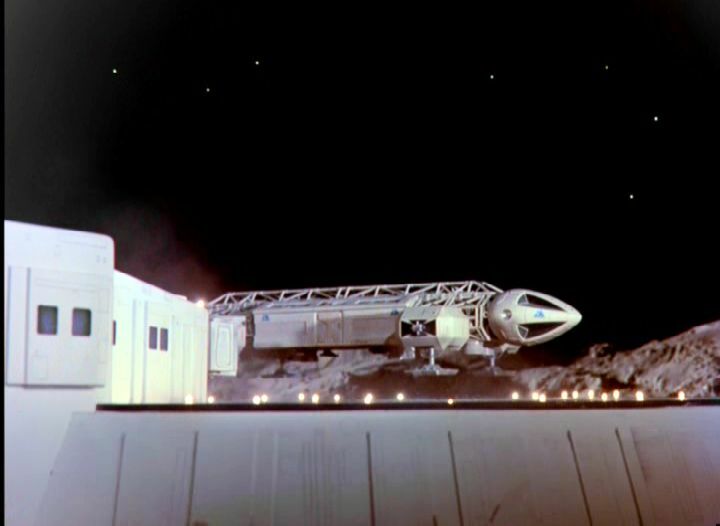 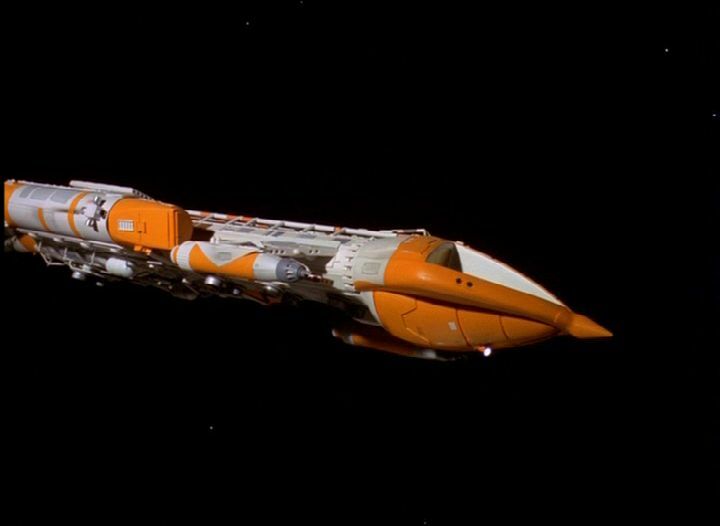 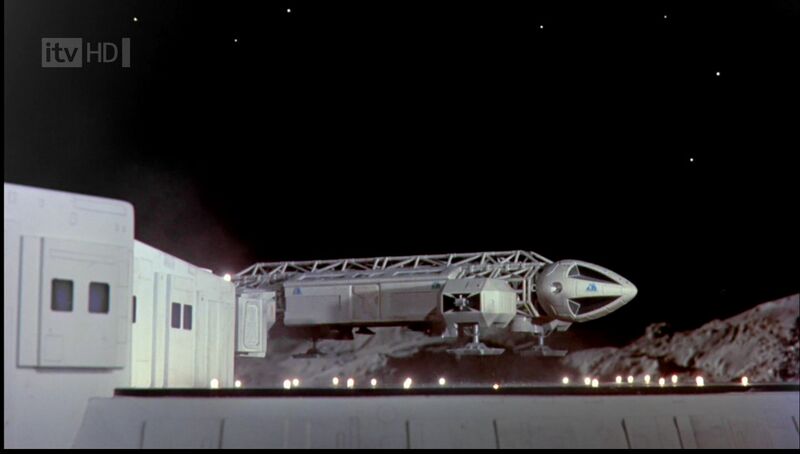 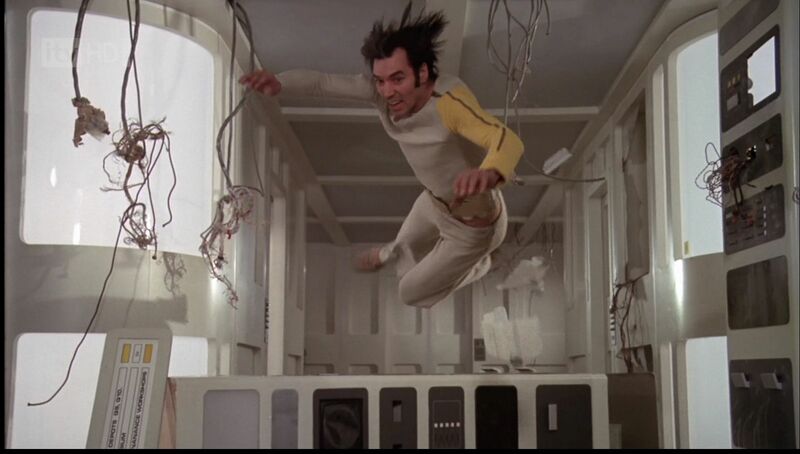 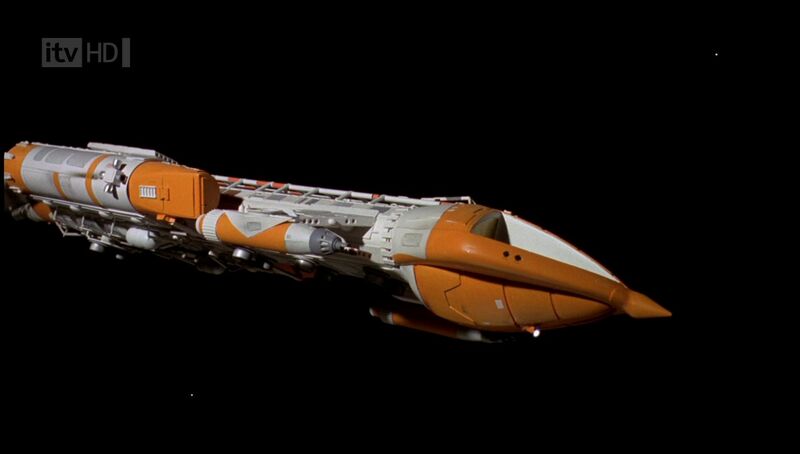 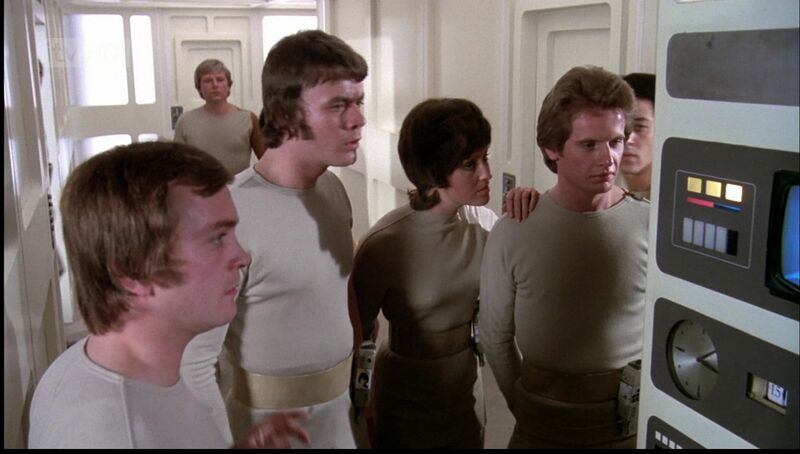 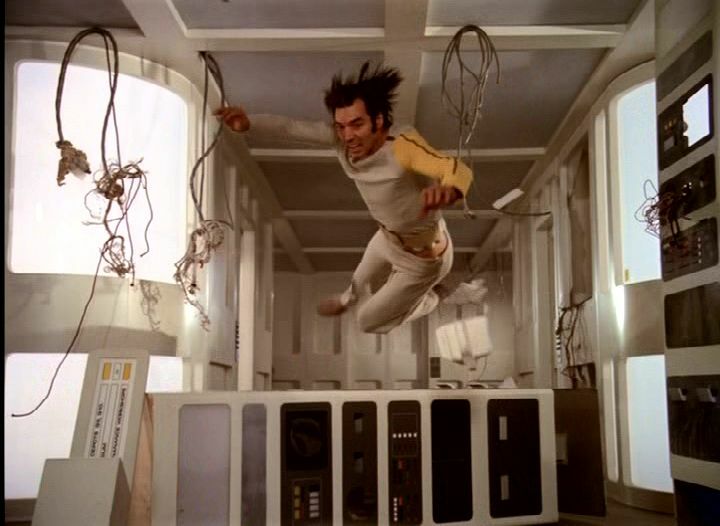 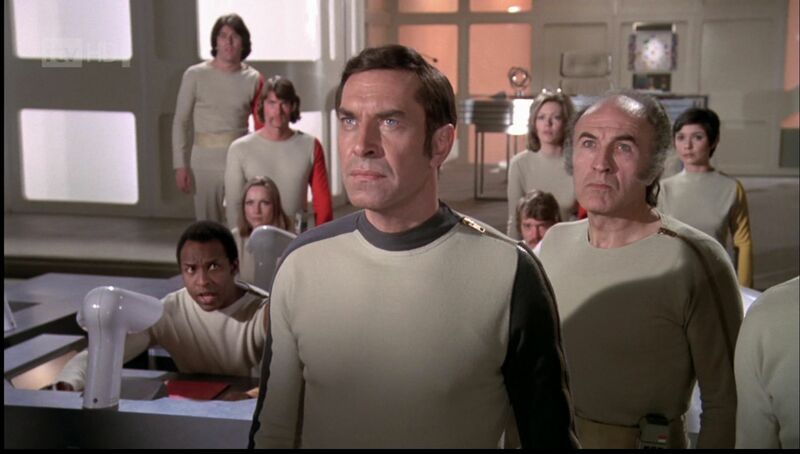 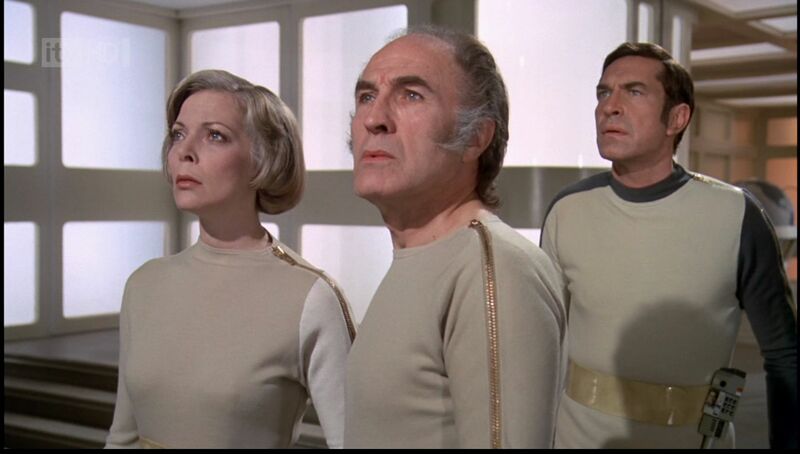 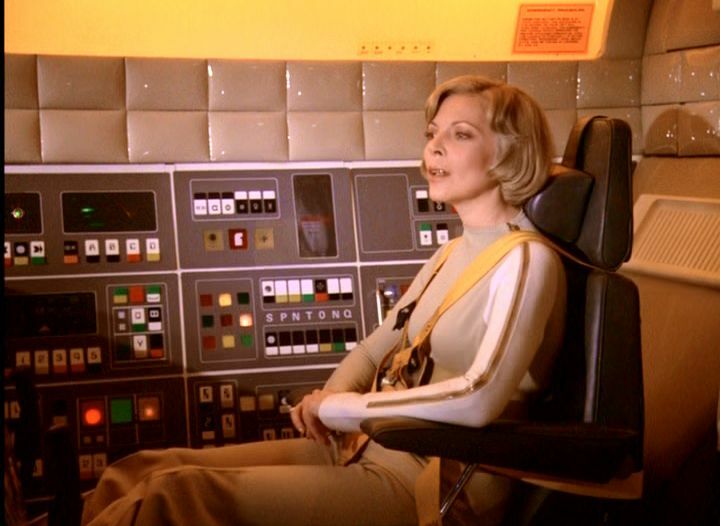 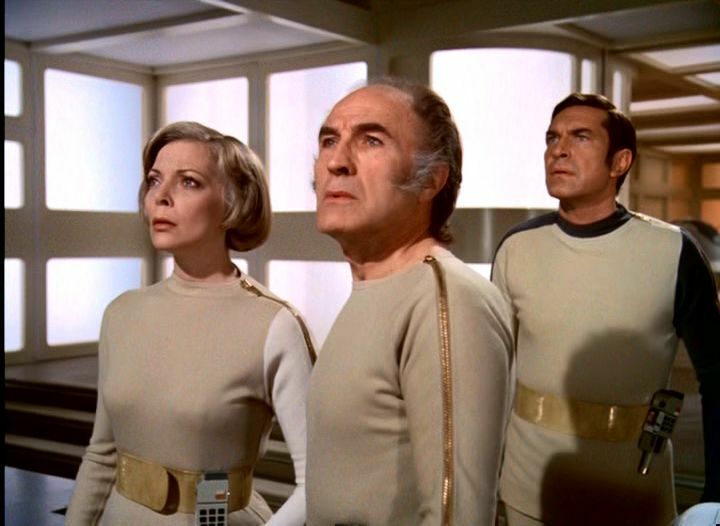 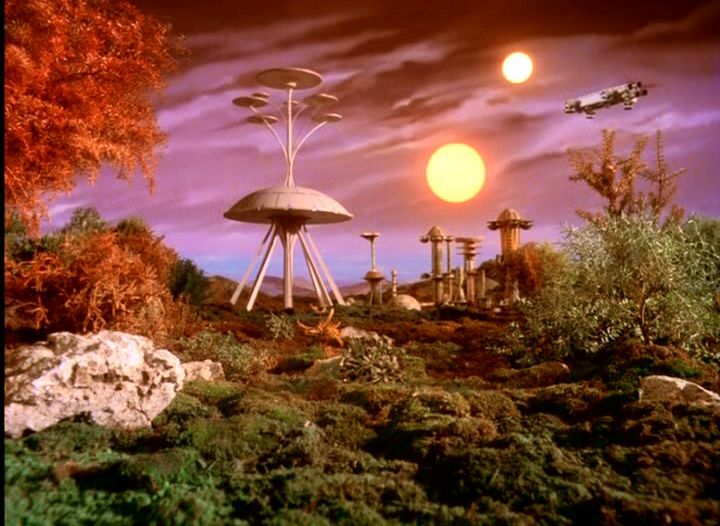 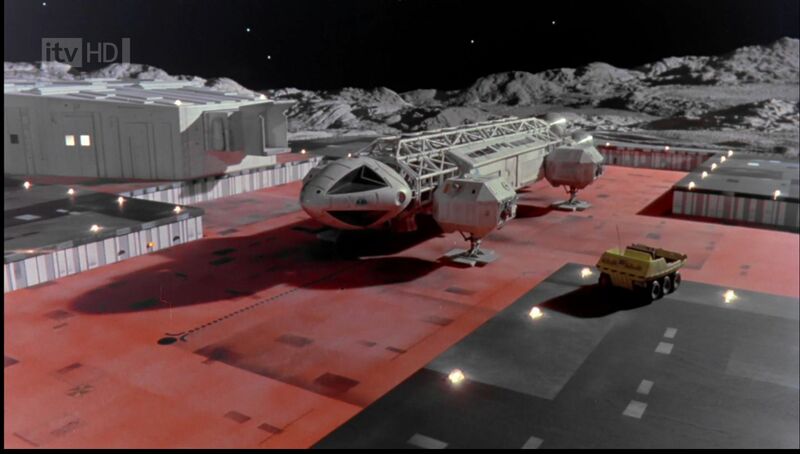 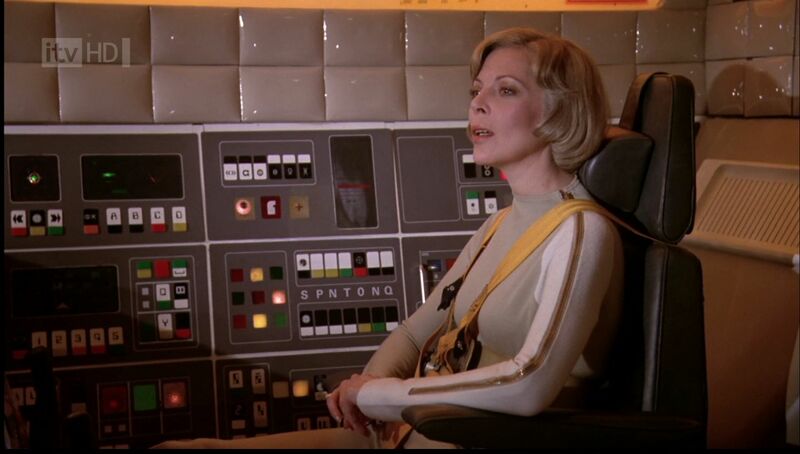 The HD version of Space: 1999 is available on Blu-ray disc from October 2010 in the UK, and December 2010 in the USA.